Final score decided by just two points. 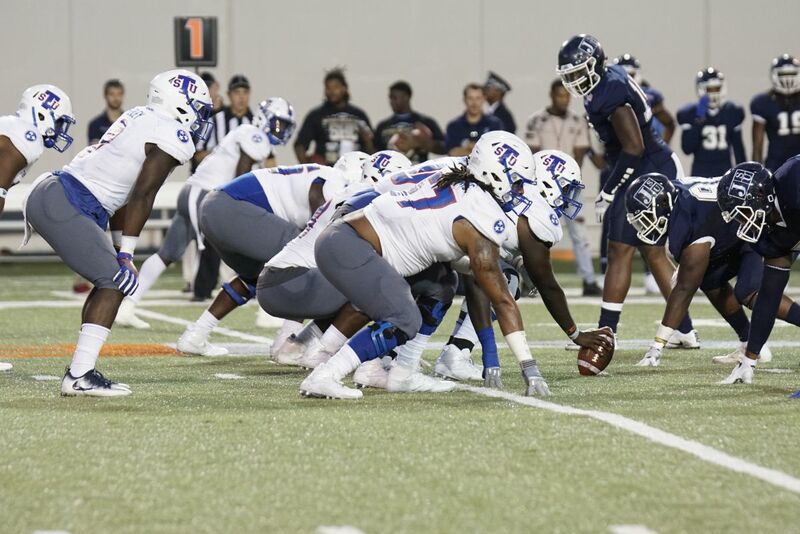 MEMPHIS — The 2017 Southern Heritage Classic went down the final second as Tennessee State topped Jackson State, 17-15, on Saturday Night at the Liberty Bowl. A fourth-quarter 58-yard punt return for a touchdown by Memphis native Patrick Smith proved to be the difference in the game. Smith’s touchdown with just over five minutes remaining put TSU up 17-9. Jackson State cut the lead down to 17-15 when Terrell Kennedy returned the ensuing kickoff 87 yards for a touchdown. However, Laquarius Cook broke up a pass on the two-point try to preserve TSU’s slight edge. With two seconds remaining, JSU’s 47-yard field goal was wide right giving TSU the two-point victory. The Tigers improved to 2-0 on the season, while Jackson State fell to 0-2.